Wilensky, U. (1997). 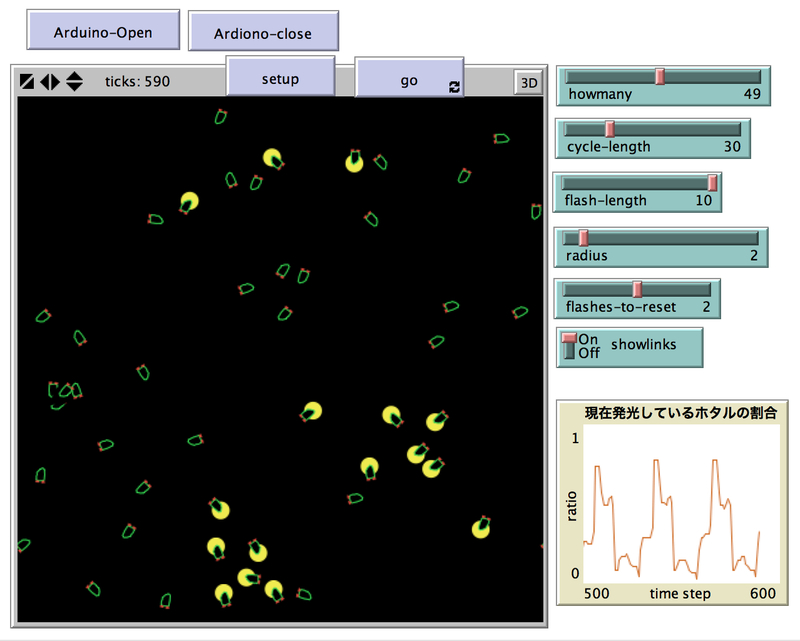 NetLogo Fireflies model. http://ccl.northwestern.edu/netlogo/models/Fireflies. Center for Connected Learning and Computer-Based Modeling, Northwestern University, Evanston, IL.